If you haven’t heard of Travis Pastrana’s Nitro Circus extreme stunt and movie making franchise, then you probably have been living under a rock for the better part of a decade. However, it isn’t all about the crazy shenanigans for these guys; the Nitro crew is literally a band of brothers, having performed countless stunts together while traveling the world and entertaining people. What is the best part about this crew? They inspire everyone to live their best life, and they do the same through their everyday shenanigans. One of the founding members of the Nitro crew is Hubert Rowland, aka Everyone’s Favorite RedNek. 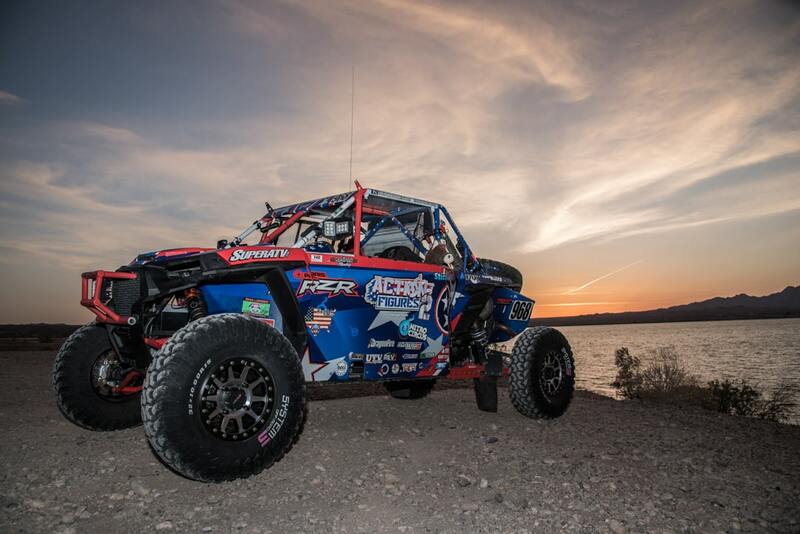 Hubert has been on countless adventures in his lifetime (recently all the way across the United States in a Polaris RZR and General), and one of his latest adventures has to do with racing UTV’s out in the desert and rocks on the West coast of America. After all, that’s where it all started for him, except his original racing endeavors saw him carrying a tool belt strapped on while wrenching for Travis in the dirt bike racing days. Hubert is now wearing the helmet and getting strapped into his Polaris RZR race vehicles to do some racing of his own. 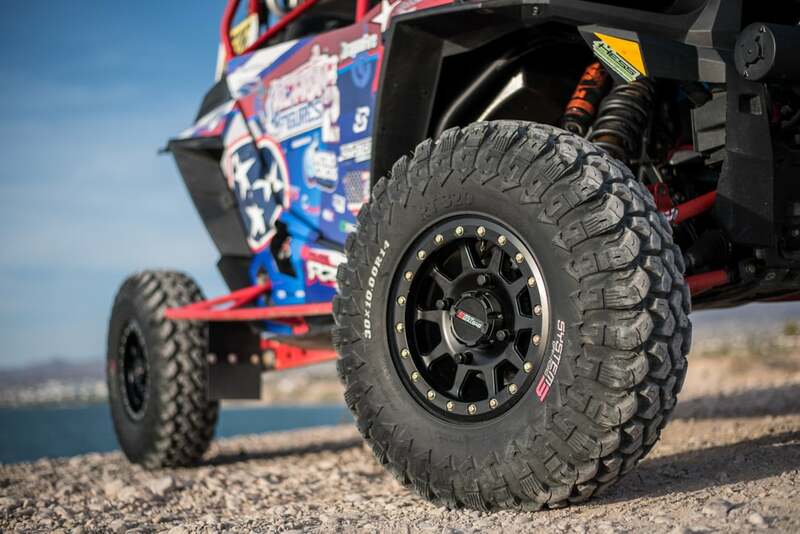 If you have been following the desert racing scene for the past couple of years, you’ll know that the average upstart cost to race a UTV has skyrocketed as more technology, prep, and know-how has been infused to these smaller race cars. 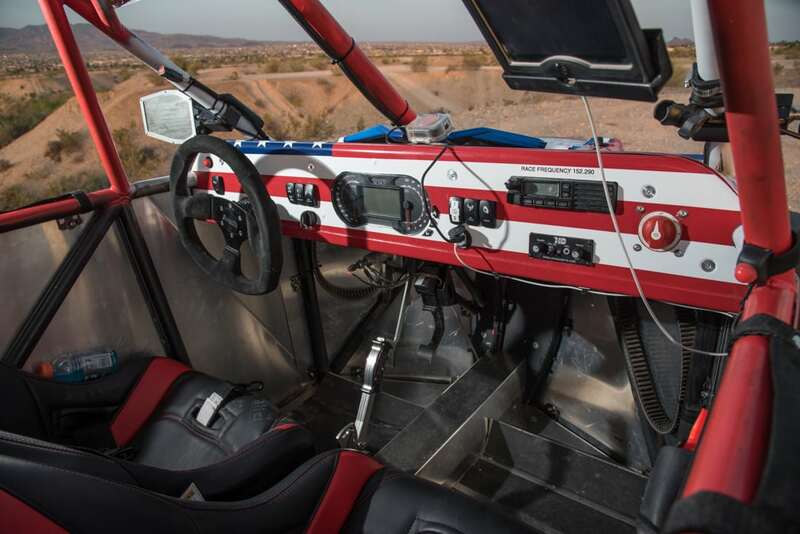 However, with a lot of RedNek know-how, Hubert has separated himself from the field by utilizing practical knowledge and his racing credentials to build two race vehicles, one for Best in the Desert (BITD) off-road racing and one for King of the Hammers (KOH). 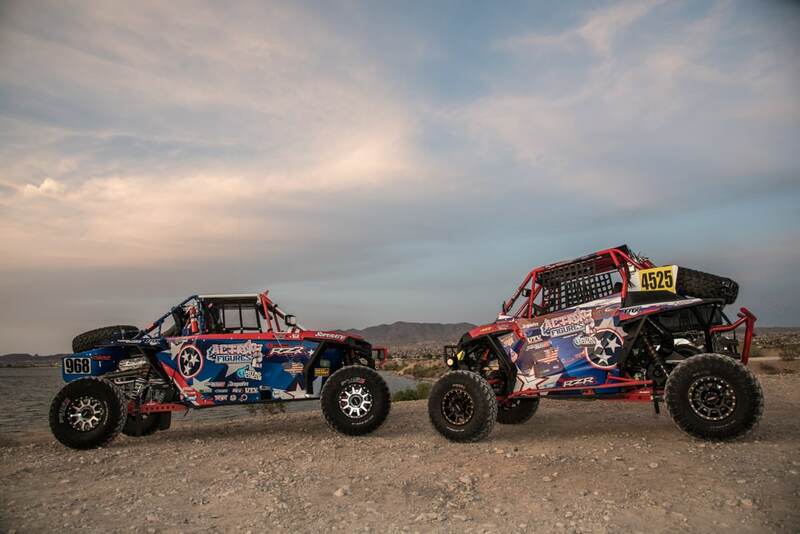 Both of these machines are based off of Polaris RZR XP Turbo platforms (one two-seater and one four-seater). He didn’t have the unlimited budget like some teams have, so he put that racing knowledge to good use and built 2 race UTVs that don’t break the bank, while both of these are still offering all of the fun times and race experience that some of us crave. He continues by saying, “So i decided that if I’m doing it, I’m going all in. I got quotes from many companies that build BITD-legal machines, all at 100k or more whether I provide a machine or not. Yes that’s full turnkey, hop in and go drive. But, that price is no longer entry level to get into desert racing. So I wanted to build my own race machine. I figured I could build it for less than the companies if I did a lot of the labor. Because of my history with Travis and the Nitro crew, I like building machines and doing mechanic work. Why pay someone else to do what you can do.” We totally agree, Hubert – if you have the know-how, then the project is extremely fun and rewarding if you do it yourself! “While machine was apart, we had multiple parts treated by Cryoheat. The team here micro polishes and cryo-treats parts to make them stronger, run smoother, and cooler. The transmission was also micro polished and cryo-treated. With promod option, they removed a total of 10lbs of rotating mass”, says Hubert. Overall, we think Hubert and his list of companies associated with this project all did an amazing job creating a vehicle that can literally “do it all” when racing in a BITD race. The red, white, and blue them just screams, ‘Merica!, and we love that fact. If you’d like to follow along with Hubert and his next racing adventure, he’ll be tackling BITD’s August scorcher, otherwise known as Vegas 2 Reno. It’s the longest off-road race in America, and it’s one of the best. You can bet that Hubert will be ready to rock! Jazz Products – 32 gallon fuel cell with dual external fuel pumps that provide easy access and external pumps are used in all types of vehicles and racing so they work fine. Price was also better from Jazz for a great product! All suspension bolts shouldered the frame with steel lock nuts. Hubert, a connoisseur of a good challenge, knows about the challenge that KOH presents. 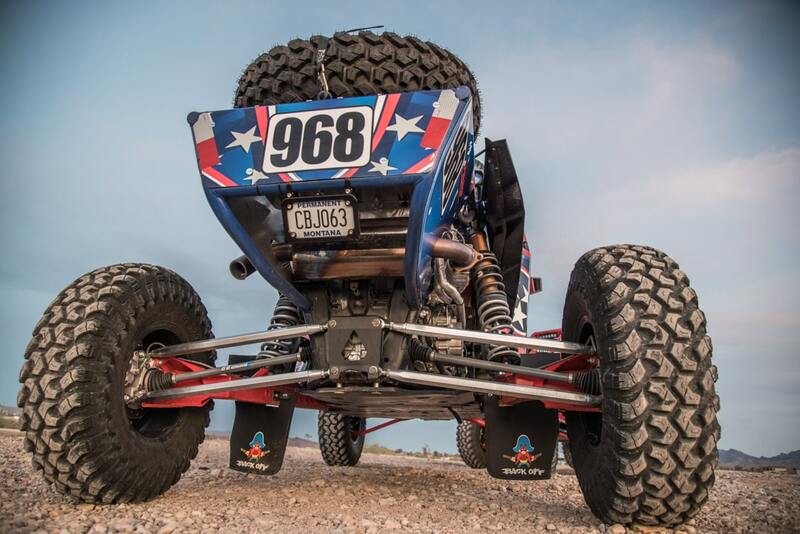 He wanted to build a KOH-ready RZR, and he begins by saying, “I started with a stock 2017 Polaris RZR XP Turbo. We took it off the semi truck, pulled it in the shop, and stripped it. Within 4 hours, it was a frame with motor and transmission in it and that’s all. I started planning the machine’s future, which would be racing numerous types of races. But also promotion at large ride events.” Surely he would have to take all of these things into account, and he sure did. Overall, Hubert built a very capable machine at a budget price. Hopefully this inspires you guys to think about building your own race vehicle, and if you do, be sure to send us pictures! Tire Blocks – Tire Block inserts in all (4) tires to keep from getting flats.